Bethesda, Md., Mon., Sept. 24, 2012 - Last week, researchers launched a Phase I clinical trial to evaluate the drug candidate DEX-M74 as a treatment for patients suffering from Hereditary Inclusion Body Myopathy (HIBM), a rare degenerative muscle disease. National Institutes of Health (NIH) scientists from the National Center for Advancing Translational Sciences (NCATS) and the National Human Genome Research Institute (NHGRI) will conduct the clinical trial at the NIH Clinical Center. HIBM, also known as GNE myopathy, is a rare genetic disease with no available therapy. Disease symptoms emerge in adulthood and slowly lead to progressive muscle weakness. Most patients develop symptoms while in their early twenties and eventually require a wheelchair as their arm, hand and leg muscles weaken. Mutations in the GNE gene cause HIBM by producing low sialic acid levels in muscle proteins, which scientists think contributes to the symptoms of muscle weakness. Normally, GNE produces an enzyme that produces sialic acid in the body, a sugar important to muscle development and kidney function. "This study marks an important milestone toward developing a treatment for an underserved patient population, and we would not be this far along had it not been for the teamwork and dedication of the researchers working on this collaboration," said NCATS Director Christopher P. Austin, M.D., the newly appointed director of NCATS. In 2007, Marjan Huizing, Ph.D., an associate investigator in NHGRI's Medical Genetics Branch, led a team of scientists in search of an HIBM treatment. They hypothesized that a compound called ManNAc, now called DEX-M74, might improve the low sialic acid levels that cause HIBM. DEX-M74 is a sugar converted by the body to sialic acid. Huizing and colleagues conducted studies that showed the compound was effective in controlling sialic acid levels in a mouse model with a specific GNE mutation. The researchers published their findings in the June 2007 issue of the Journal of Clinical Investigation. Based on these results, they set out to evaluate the effects of DEX-M74 on progressive muscle weakness in HIBM patients. However, the project required additional funding for pre-clinical studies. In 2009, NIH established its Therapeutics for Rare and Neglected Diseases (TRND) program, now part of NCATS, to facilitate the pre-clinical development of new drugs for these ailments. TRND scientists selected the development of DEX-M74 as a treatment for HIBM as one of its initial pilot projects. The collaboration includes TRND researchers, the laboratories of Marjan Huizing, Ph.D., and of William A. Gahl, M.D, Ph.D., principal investigator of NHGRI's Medical Genetics Branch, and New Zealand Pharmaceuticals Limited (NZP). NZP is manufacturing DEX-M74, which was developed by Drs. Gahl and Huizing and licensed from the NIH by NZP. "TRND infused life into the HIBM project by supporting pre-clinical studies for the new drug application," said Dr. Gahl, who also serves as NHGRI clinical director. "The program provides the missing link in the evolution of drug treatments. It is a resource that has the potential to develop new therapeutics for rare diseases, often with applicability to common disorders." During the HIBM project, the TRND program has supported IND-enabling toxicology studies to evaluate the safety of DEX-M74. Researchers also generated chemistry manufacturing and controls data, which relates to the formulation and manufacturing process of a drug. Based on the availability of these new data, the collaborators completed an IND application that the FDA recently approved. "The TRND program was designed to provide the expertise and knowledge needed to advance potential treatments like DEX-M74 to human clinical trials," said John McKew, Ph.D., chief of the NCATS Therapeutic Development Branch and director of TRND. "The results of this project demonstrate what a translational program like TRND can accomplish through collaborations that bring experts together from basic research, pre-clinical drug development, and clinical medicine." The HIBM Phase I clinical trial will test a single dose of DEX-M74 in a small group of patients with a focus on drug safety and how well patients tolerate the drug. Nuria Carrillo, M.D., TRND staff physician and principal investigator of the HIBM Phase I trial, plans to follow-up the initial study with a Phase I/II trial in which patients will receive multiple doses of DEX-M74. Researchers will monitor patients for drug tolerance and indications of drug effectiveness. If DEX-M74 is safe and well-tolerated by patients in the Phase I/II trails, researchers will plan a Phase II study to determine the clinical effectiveness of the drug in HIBM patients. "The NIH has achieved a significant milestone in the development of a potential treatment for HIBM and we are excited about this research reaching the clinical trial stage," said NZP CEO Andy Lewis. "The pre-clinical data is very strong and we are keen to see DEX-M74 progress through the clinical phases. Once we have proven human efficacy we plan to offer DEX-M74 to patients." The HIBM clinical trial is the third TRND project to advance to human clinical trials. The two other clinical trials are evaluating treatments for sickle cell disease and chronic lymphocytic leukemia. Dr. Carrillo also is overseeing a natural history study of HIBM to collect health information from patients to understand how the disease develops. TRND has developed a portfolio of 14 projects, including HIBM, which focus on rare and neglected tropical diseases. For more information about the HIBM Phase I clinical trial, please visit ManNAc in People With Hereditary Inclusion Body Myopathy. Information about the HIBM natural history study is available at A Natural History Study of Patients With Hereditary Inclusion Body Myopathy. To learn more about TRND clinical trials, please go to TRND Clinical Research Studies. The National Center for Advancing Translational Sciences (NCATS) aims to catalyze the generation of innovative methods and technologies that will enhance the development, testing and implementation of diagnostics and therapeutics across a wide range of human diseases and conditions. For more information about NCATS, visit www.ncats.nih.gov. NHGRI is one of the 27 institutes and centers at the National Institutes of Health. The NHGRI Division of Intramural Research develops and implements technology to understand, diagnose and treat genomic and genetic diseases. 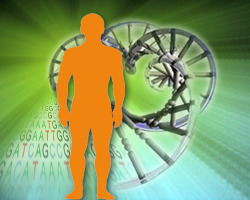 Additional information about NHGRI can be found at its website, www.genome.gov.